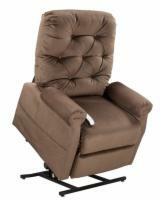 The AmeriGlide 325M 3 Position is a three position lift recliner with a full chaise pad for better support and a heavy duty steel lift mechanism with a 325 pound lift capacity. 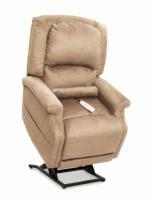 As with all AmeriGlide lift chairs, it is backed by a one-year in-home service warranty. 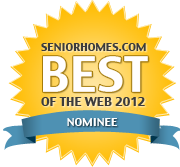 Roxie the buyer from Boise Idaho would recommend this to a friend. Everything about this chair is great! Sara from Nc would recommend this to a friend. Recent rotator cuff surgery and I live by myself. I Got Lucky and Found The Perfect Chair to Suit Our Needs. Billy from Montgomery, Al. would recommend this to a friend. 54 yr old with diabetes and arthritis. Chair purchased for 75 yr old mother, may need one for myself. Easy to use. All positions are perfect. They were not BUY ONE GET ONE FREE! HA HA! Free Shipping and No Sales Tax is Hard to Beat. THANKS! I am considering the purchase of another chair for myself at a later date. Rick from Oklahoma would not recommend this to a friend. This is the worst chair I have ever sat on. It is very hard, way to much padding on the back, hurts your neck. Even some of my company that has sat on it commeted on how uncomfortable it is. White Wizard from Kansas would recommend this to a friend. I am the son of the lift chair user. Chair is in Cuyahoga Falls, OH.